Many young adults find themselves in a drug-surrounded environment in college; because of this, it is being brought to federal attention that collegiate recovery programs are absolutely necessary. However, since these programs are so new, there is a deficit of information about them that if increased, could lead to more efficient and helpful programs. It is important to take into consideration not only the reason why collegiate recovery centers are needed, but also how they can be beneficial and why they are growing. Recent studies have proven that addiction, specifically drug addiction, is a chronic condition, like that of asthma or diabetes. For this reason, it must also be controlled and treated like one, with in- or out-patient recovery and following checkups. The care for addiction is also more open-ended than that of a typical disease. While managing the symptoms and hoping that 12-step meetings will keep the patient from relapsing, many things must be taken into consideration when determining their care. Doctors or aids must take into account the patients’ resources, needs, and stage in recovery, as the earlier stages require a more extensive rehabilitation program. In college, many students just do not have the time to complete an inpatient recovery program while completing school. Even the White House Office of National Drug Control Policy recognizes that it is unfair to ask a student to choose between getting help to be drug-free or getting an education. Thus, student-based recovery support services like the collegiate recovery program/center are not only extremely effective, but absolutely phenomenal in that they are more convenient for the students. The more easily accessible treatment or help is, the more likely students will be to branch out and ask for assistance, which means that the collegiate recovery programs are a large step forward towards cleaner, healthier adults. Many people do not understand why collegiate recovery programs are crucial to a college campus, which is why not many campuses have them. Inpatient treatment is far too time and money consuming for a typical college student to attend, and it cuts them off from their education. Without help, college can be overwhelming and it can be hard to move past the casual social use of drugs. Even with help, first-year relapse rates reach as high a 70%, but decreases each year after. This shows how difficult it can be to achieve a relapse-free lifestyle while constantly surrounded by your object of addiction. 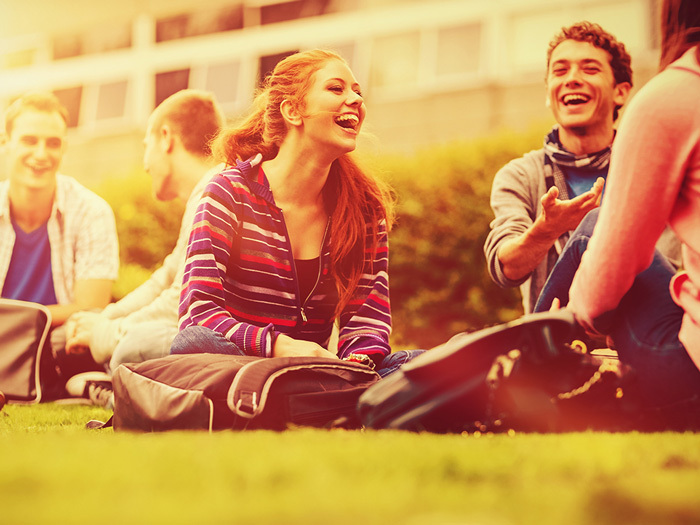 Collegiate programs are absolutely necessary, as clinical care is not a one-stop solution to addiction problems. Yes, inpatient programs and therapy are extremely helpful for detoxing and understanding more about how to stay away from drugs, but patients often leave inpatient care without a support system. That is solved with these recovery support communities formed in collegiate recovery programs. They provide not only a drug-free zone, but a place to make connections with people that are struggling with the same thing, and sometimes, they provide a place to live. Because of the lack of these programs country-wide, there is little information actually known about them, as little data can be collected. Some things have been very obviously shown, though. For example, these collegiate programs work. There is a very small relapse rate and they help students understand their addiction. Because of the positive data collected, the health of students is being taken into more careful consideration by federal funding agencies and these collegiate recovery programs will likely grow in the future. From the very first programs in the ‘80s, all the way to today, collegiate programs have proven to be a beneficial way for students to maintain a secondary education while helping themselves through addiction. If you think you may have an addiction problem, contact the Ranch at Dove Tree today. 800.218.6727.